Intensive Hydration and Brightening Ageless Moisturizer uses the newest of cell stimulating technology to stimulate your skins cellular reproduction diminishing the signs of aging while enhancing skins texture and surface tightness. Ideal for adult and mature stage skin types looking to maximize moisture and hydration. The unique combination of ingredients brightens the skins surface while providing super antioxidants for a beautifully hydrated, smooth, bright, younger looking complexion. Paraben free. Anti-Inflammatory Post Care Treatment This light soothing cream gives temporary relief from itching caused by minor skin irritations, inflammation and rashes due to eczema, allergies, cosmetics, poison ivy, poison oak, soaps, insect bites, seborrheic dermatitis or post-inflammatory response. Paraben free. A highly concentrated multi-vitamin and anti-oxidant formula that gently and effectively exfoliates dead skin; opens plugged pores, diminishes large pores and helps reduce the occurrence of blackheads and whiteheads. DermAstage Beta Hydroxy Foaming Cream Cleanser is an especially effective cleanser for emerging acne and is formulated to remove surface impurities, impart a clean feel, and leave skin smooth and hydrated. Intensive Lightening Gel is a powerful brightening treatment that effectively lightens age spots, acne scars, sun spots and other forms of hyperpigmenation. This amazing product is guaranteed to visibly reduce superficial pigmentation. PURE Hyaluronic Acid, Vitamin C Ester contains a proprietary formula of Liposomes Licinol, that provides tight, dry skin the moisture it craves. Packed with humectants that expand moisture up to 1,000 times its own weight, this serum continually moisturizes your skin leaving it hydrated throughout the entire day. The unique form of energized activity generated by the Liposomes Licinol blend allows for deep penetration of our key ingredients, naturally plumping your skin, refining the surface and minimizing fine lines around your eyes and lips. M: Corrective Mandelic Acid treatment dramatically enhances and brightens the skin within days of using. Reduce hyperpigmentation, acne and wrinkles and bring clarity and balance to the skin. Mandelic acid is also recommended as a pre and post laser treatment, reducing the amount and length of irritation caused by laser resurfacing. In a pure form, Mandelic Acid is a highly anti-inflammatory with an insatiable appetite to decongest the skin's glands and follicles. Peptide Plus is a daily Brightening & Hydrating Treatment that is light and refreshing, providing anti-oxidants for your complexions transformation. Ideal for skin types that are looking for lighter weight hydration with the freshest and purest feel to the skin. Extracted Cucumber acts as a natural anti-inflammatory and along with Melon Extract leaves the skin healthy, radiant and revitalized. The Retinol Mixer combines high concentrations of Kojic/Nicinamide and Pure Retinol, age-defying ingredients that dramatically transform your skin. The retinol mixer provides noticeable improvement in the skin's texture, creating a youthful, refreshed complexion. The skin's deep and fine lines are smoothed, tone is balanced and rejuvenated and the skin's texture is refined. Paraben free. Excellent lightweight sun block containing Zinc and Titanium Dioxide. 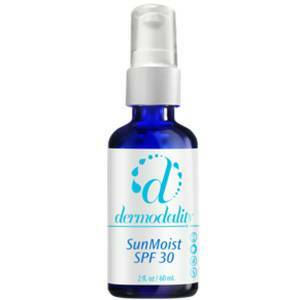 SunMoist may be used as a replacement for a daily moisturizer for normal to oily skin. Designed to protect skin at all times including after an aggressive peel. SunMoist will not leave the skin sensitized when applied after a chemical peel. It becomes the perfect sunblock. Copyright 2012: Skin By Loreen | Skin Care San Diego | All rights reserved.